he newest addition to Danish Dynaudio portfolio are the Confidence Platinum speakers. It's not like you can read about them in every audio magazine on the front page, which is quite an unusual approach in this business – it's because its manufacturer is a true professional and that is valid not only for his products but also for the way he promotes them. I can't be certain of that but I think that this is a particular case of a product that transcends its predecessor in many ways, and while being more expensive still is not supposed to be the leading/most important model of its line. What is really going on I might guess (a strong accent on „guess”) can be found in... a timing. So far Confidence line included two versions of the same models: a basic one called Confidence II and another one called Confidence Signature. The latter included some better components in their crossovers and even better/nicer finish. Shortly after they were introduced to the market here comes another, refined version. Guys from Dynaudio when asked about it admitted that a „problem” laid in Evidence Platinum – mighty, superbly finished speakers that in fact are their flag model at the moment. All the new solutions, techniques, and even higher finish standard delivered such an improvement in both sound and aesthetic that Dynaudio guys had to use them also in Confidence line. But since CII line has been introduced not so long before telling all the buyers now that there is another, even better sounding and looking version of what they've just bought is somehow problematic. So we have to answer ourselves a question whether we should value Dynaudio's constant involvement in making their products even better, or should we reprove them for introducing CII versions too soon. There are two possible scenarios: one can introduce any tweaks, improvements, new solutions to one's products as soon as these are available – that's what Ayon Audio does – or wait with introducing them for a year, two or four years – meaning as long as it usually takes between a newer line of products replaces an older one. That's not a review of Confidence speakers but these were exactly my thoughts while I was unpacking X34, a new version of Excite X32. As you can see the name of this basic line remains unchanged, just as it was unchanged in case of Focus line refreshed/renewed in 2011. 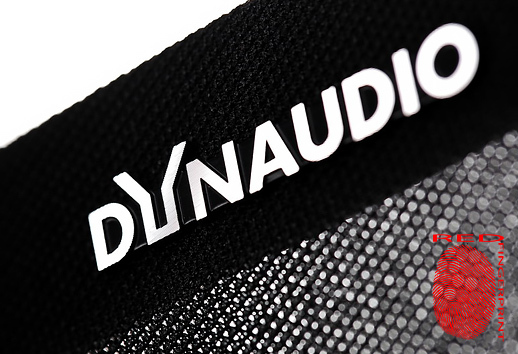 It suggests that such values as: tradition, longevity and continuation are very important for Dynaudio. A „trigger” of above articulated speculations was a perfect look and finish of the speakers under review. New Excite speakers sport a finish of a natural veneer, which in Rosewood version look insanely good. If you ever happen to see this version you will realize that some sort of a bond between you and these speakers arises even without listening to them for a second. It doesn't matter if New Excite is what you're looking for, whether you already have some more, or less expensive speakers, you will simply feel urged to appreciate the accomplishment of Danish engineers. There are some details that while being a part of the whole project manage to heighten the overall very positive impression. One of them is lack of mounting holes for grills. Same solution was used by others, for example by Monitor Audio in their Silver line (see HERE), but here the natural veneer was applied in absolutely perfect way. Grills use magnets – one is glued into a hole milled in speaker's fascia and than veneer is applied over it. The second magnet is placed inside grill's plastic frame that is covered with a black cloth. Another feature, a very practical one, is a new solution used to stabilize each loudspeaker. X34 are quite tall, slim speakers with drivers mounted in the upper part of the enclosure which moves its center of gravity way up. The previous version of Excite speakers used spikes simply screwed in the thick MDF plate at the bottom of each speaker – a simple solution but it didn't improve in any way the stability of the design. Stability of X34 is very good because its new feet spread outside speakers outline. It's no novelty – it's been done before but Dynaudio did it in their own way – reasonable and nice looking way. The shape and silver color of these feet match the whole design nicely. And they are reasonable because of their design. These feet made of are die-cast aluminum reinforced with some sort of „framework” that improves their stiffness. Speakers stand on four resonance-absorbing rubber feet, but they sport also adjustable spikes and these can be adjusted from the top side of every foot. Well thought-out, elegant and practical solution. X34 design-wise are a two-way, three-driver, bass-reflex speakers. They are very slim - 950 mm tall and only 170 mm wide. 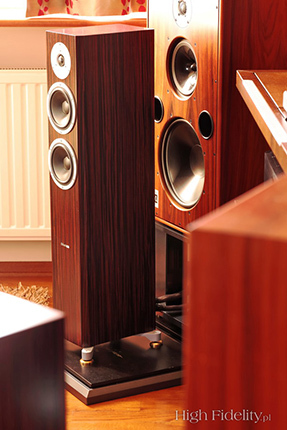 The 2013 Excite line includes also a bigger floorstanding speakers – X38 – that were reviewed by Marek Dyba in October 2013, in 114. issue of „High Fidelity” (see HERE). Catalog names also stand-mounted Excite X14, that: „is the most compact Excite model, yet delivers true high-end sound quality to any system by virtue of its long-excursion mid-woofer, refined soft-dome tweeter and first class crossover components. The exquisite sonic balance, underscored by unbelievably deep, fast and perfectly controlled bass response is in rarity in this price range”. The Dynaudio Stand X3 and Stand 6 speakers stands, SF1 speaker feet are perfect accessories available for optimizing placement of X14. A 21st century speaker line wouldn't be complete without central speaker (although this „rule” seem to change nowadays), so Dynaudio offers its Excite X24 Center model home Home Theater fans, and, if there are any, multichannel audio fans. Bing Crosby, The Radio Years, GNP Records/King Records (Japan) 240E 6848, “Very Best Jazz”, CD (1988). Pat Metheny Group, Offramp, ECM ECM1216, CD (1982). There is no use in comparing the new Excite X34, with older X32. I think that paradigm followed by Dynaudio designers hasn't changed much. But means of achieving it allowed to get to a new performance level. It's not some game changing improvement but significant enough to recognize it as a clear improvement and kind of a new opening for entry level Dynaudio. Regardless of albums I was listening to the main feature of the sound I noticed each time was amazing transparency. Transparency which means resolution. If somebody decided to place Castle Knight speakers, lets say Knight 5 to be exact next to Dynaudio one would quickly realize that these speakers are like night and day with Dynaudio being day. It's not about which ones are better sounding, it's about how different their sound signatures are. So – transparency. X34 deliver very open sound. In comparison many other speakers will sound like placed behind a curtain. And again – it's not about better/worse performance, but about very different one. In this particular model Dynaudio designers have finally overcome limitations of woofer's membrane material. In fact it has many advantages but resolution, in many cases, weren't one, as there were some colorations in the midbass area, and a differentiation of low end wasn't so great. This is my opinion of course, not something you have to believe in – a few years ago I exchanged some emails with Dynaudio's owner who really tried to get me to eat my words. I couldn't and didn't do it back then because an actual improvement I can see only now, in those new models. What these speakers can offer is really something. 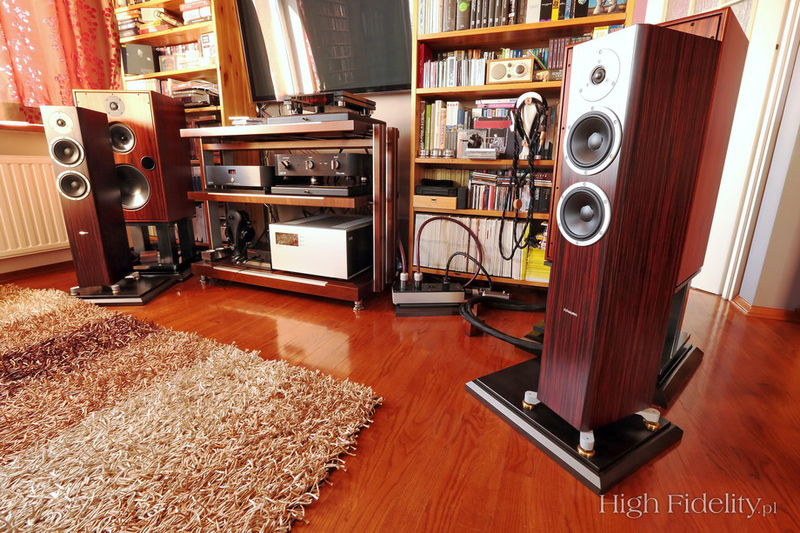 On one hand there is an exquisite treble – the tweeters used here offer truly high performance. There are some that are still better but there is only a handful of them and they cost more, a lot more. 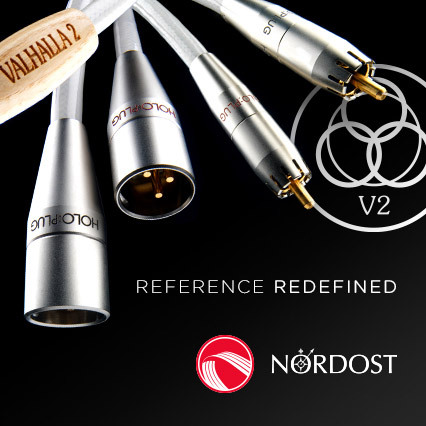 This treble is precise – not only delivering the outlines of sounds but a full, rich sound in all of its aspects. A part (large one) of soft dome tweeters sound bit harsh not like their metal counterparts.